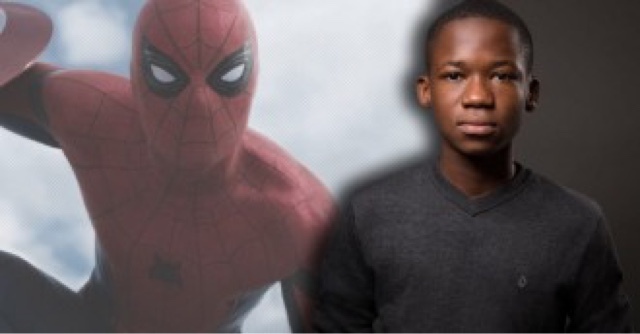 Home Abraham Attah Buzz Ghana "Beasts Of No Nation's" Abraham Attah joins "Spider-Man: Homecoming"
"Beasts Of No Nation's" Abraham Attah joins "Spider-Man: Homecoming"
Abraham Attah, the 15-year-old actor who played the child soldier Abu in Cary Fukunaga's "Beasts Of No Nation," has been cast in Marvel/Sony's "Spider-Man: Homecoming." According to Deadline, Attah's role hasn't been disclosed. He'll be joining Tom Holland, Robert Downey Jr., Michael Keaton, Zendaya, Michael Barbieri, Kenneth Choi, Tony Revolori, Marisa Tomei and many others for the film. Jon Watts ("Clown") is directing, from a script by "Vacation's" Jonathan M. Goldstein and John Francis Daley. Daley co-starred with "Silicon Valley's" Martin Starr, who also happens to be appearing in the film, on "Freaks and Geeks." Production on "Spider-Man: Homecoming" is currently underway in Atlanta for a July 7, 2017 release.